It is hard to believe that I have had cancer for five years and seven months! How crazy is that?? Looking back at my journey brings so many mixed emotions; gratitude being at the top of the list. I have been blessed by so many, and I am so grateful to still be alive! For the past two years I have participated in the Leukemia & Lymphoma Society's Light the Night Walk. This organization has helped to save thousands of lives and with help from donations, from people like you, I pray that some day, there will be a cure for my type of cancer; chronic mylogenous leukemia. Living with cancer is arduos. It is unpredictable and weary making. That being said, life is a gift, and so worth living. I prefer to do my very best in ignoring the fact that I have cancer; I push through the fatigue, attempt to ignore the nausea, nerve, bone and muscle pain, and dance to the best of my ability, despite the struggle to breathe. I find that laughter and optimism help to mask the difficulties, and spending time with friends and family, make every single day worth the effort. I hope and pray that some day there will be a cure and that CML will lose its' "C", somewhere along the way; you see, the "C" stands for chronic, meaning persisting for a long time or constantly recurring. With help from you, the LLS and researchers across the globe, I believe that I will live to see a cure for chronic mylogenous leukemia, and that some day, I will be able to breathe and dance without the limitations that are currently a part of my every day life. I thank you with every fiber of my being for your support; both monetary and emotional. I would love to have you join me and Joe, on our Light the Night walk on Oct. 6th, 2016. 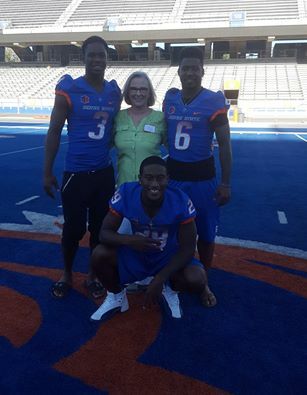 This year the festivities will be held on the Blue Field at BSU!!! We had the pleasure of meeting a few of the football players and Associate Althletic Director, Brad Larrondo who have joined the LLS in our fundraising efforts, at our Kick-Off party, a few weeks ago. Brad's committment to our Light the Night fundraiser is commendable, and the festivities are certainly going to be a night to remember! I mean come on, who gets to walk on the blue field??? I greatly enjoy your blog!!! 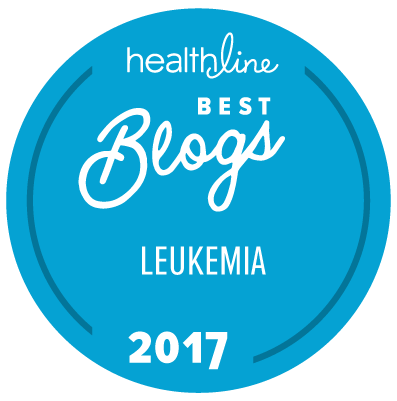 I was diagnosed with CML two months ago and I just stumbled on your blog and I really enjoyed reading about your journey can't wait to hear more ! Thanks, guys!! So glad I could help by sharing! !